The Force Awakens doesn’t come out for another 273 days. Episode VIII will premiere in 798 days. My guess is that Episode IX is 1,526 days away, if Disney releases it on May 24, 2019. That’s only four years away so Disney better get moving on its plans for Episode IX. 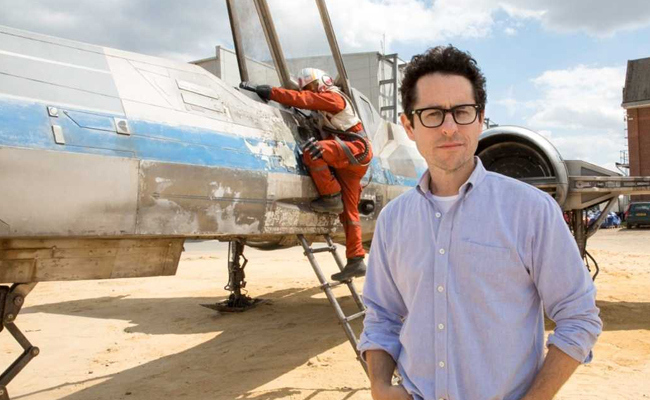 According to Latino Review, J.J. Abrams is the frontrunner to direct Episode IX. Rian Johnson is helming Episode VIII, but apparently the director’s chair is still open for the third part of the third trilogy. Based upon the trailer for The Force Awakens, I’d welcome Abrams back as Episode IX’s director. That might change come December 18, but at this point I have no reason to doubt Abrams. In honor of J.J. Abrams potentially coming back to a galaxy far, far away, here are some Bible characters who also made a comeback. Jonah had a rough go of it. God told him to go to Nineveh and Jonah went in the exact opposite direction. He literally tuned his back to God, got on a boat and tried to run from the creator of the universe. God got Jonah’s attention by making him spend a few days in the belly of a great fish. I can’t imagine anything smelling worse than the belly of a great fish; like tauntauns, I think they smell bad on the outside. Jonah made a comeback, though, and eventually made it to Nineveh. Unfortunately Jonah wasted his comeback; he didn’t want God to forgive the people in Nineveh. Jonah had experienced God’s grace in the belly of the great fish, but he didn’t want anyone else to experience that grace. King Nebuchadnezzar is one of my favorite Bible characters. He’s a great example that God can use anyone to accomplish his purposes, even a pagan king. Nebuchadnezzar respected God after he saw God protect Shadrach, Meshach and Abednego in the fiery furnace. Unfortunately that respect wasn’t enough to change Nebuchadnezzar’s heart. Nebuchadnezzar couldn’t worship God because he thought too much of himself. God forced Nebuchadnezzar to live outside like a wild animal until Nebuchadnezzar acknowledged and worshipped God. Nebuchadnezzar made a comeback, though, and eventually acknowledged God as sovereign. The Bible doesn’t say if Nebuchadnezzar continued to praise and worship God, but I like to think that he did. Of all the comebacks in the history of the world, Jesus’s is the biggest and the most important. Jesus was beaten and executed on a cross, one of the most brutal forms of capital punishment ever invented. His death looked like the end of his ministry and his disciples scattered. Three days later, though, Jesus made the comeback that shook the universe. Jesus’s resurrection transformed the universe by defeating sin and death forever. Compared to Jesus’s comeback, Abrams coming back to direct Episode IX isn’t that impressive. In fact, anything pales in comparison to Jesus’s comeback. Still, I like what Abrams has shown so far and I’d be happy for him to come back to the galaxy that Lucas created. How do you feel about Abrams directing Episode IX? Hm. Any talk of who's going to direct Episode IX seems WAY premature when Episode VII hasn't even debuted yet. No doubt Abrams is a competent and talented director, but SO much could happen between now and 2019. Makes me think of James' admonition against presumptuous planning for the future! Jesus could return on December 17 of this year and then everything would be moot. Disney isn't messing around, though; it wants to get everything lined up so when 2019 rolls around they're ready to sell all the toys they can.